Barcelona’s surrounding region has so much to offer, from beautiful beach resorts to mystical mountains. We reveal our favourite day trip destinations, as well as some great tours for exploring Catalonia, outside of the capital. So you’ve already spent an afternoon or two pootling around Barcelona’s old town, admiring the Roman ruins, Gothic churches and palm-tree-decked plazas. You’ve photographed all of Gaudi’s many magnificent Modernista buildings, checked out the Olympic Stadium and manifold museums on Montjuic mountain and relaxed in the hazy atmosphere of the city’s gorgeous parks. Naturally, you’ve also consulted your favourite travel guide’s fantastic list of cool things to do in the city – but you’re still bored! Just outside this bustling metropolis lie sacred mountains and monasteries, golden beaches , Arcadian vineyards, spectacular national parks, sleepy Catalan villages and much much more. 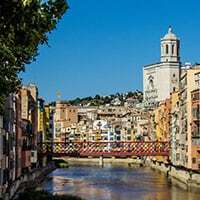 And so, weary of urban life, you’re finally ready to renounce the charms of the ‘The Great Enchantress’ and leave the smells, sounds and circus of the city behind to see what else Catalonia and the Costa Brava have to offer… in which case, without further ado, let us introduce our handy guide to day trips and excursions outside of the city. Yes, just outside this bustling metropolis lie sacred mountains and monasteries, golden beaches (which are all way cleaner than Barceloneta), Arcadian vineyards, spectacular national parks, sleepy Catalan villages and much much more. All of the above are easily accessible from Barcelona by train, bus or car, and whether you’re interested in the culture or scenery or outdoor activities like skiing in the Pyrenees, rock climbing, sport fishing, hiking, kitesurfing or sea kayaking there’s plenty worth travelling for. Introducing our favourite destinations outside the city… (nearly) all of which you can reach easily by public transport, or by hiring a car. As ten year veterans of the region, we know Catalonia better than Rick Steves and Paul Theroux put together, and we’ve concentrated on just the very top places of interest to make your life easier. And, for first time travellers to the region, we’ve also listed what we believe to be the best organised tours to each of these destinations, leaving from Barcelona city centre. Put any questions in the comments section, and I’ll be glad to help. 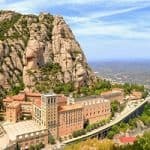 Catalonia’s sacred mountain range rears up just 38km away from Barcelona and such is its fame, beauty and religious significance that many come to this region to visit Montserrat first and Barcelona second! Most visitors tend to congregate around the Benedictine Abbey which houses the Black Virgin, a small wooden statue allegedly carved by Saint Luke himself. The abbey sits underneath the majestic St. Jerome’s peak and the views here, looking out over the whole of Catalonia are scintillating. Whilst Montserrat itself (as you’ll see up close) is stunning to behold, thanks to its serrated peaks and magical rock formations that glow pink in the setting sun. You can reach Montserrat via a special train service that leaves from Placa Espanya Train Station every hour (journey time just over one hour), and then combine that with the Cog Railway or Cable Car to reach the abbey. If you want to do that, it’s best to buy this combined ‘Trans Montserrat‘ ticket that includes metro tickets, train tickets and then your choice of Cog Railway or Cablecar, plus the use of the the Santa Cova Funicular and admission to the Audiovisual Gallery. Otherwise the ‘Tot Montserrat‘ ticket includes all of that plus museum entry and Catalan lunch. Both are run by the official Barcelona tourism board, with tickets available via Get Your Guide. Given that train tickets are quite pricey, it’s worth considering simply jumping on an organised tour, especially if you don’t fancy navigating your own way there. For just €49 per person (with children under 8 travelling for free! ), this is a really affordable no hassle option for seeing the mystical mountain and abbey. You get a guided tour of the abbey, where you’ll see the Black Madonna and your ticket also includes a ride on the Cog Wheel Train. Organised by the Barcelona Tourist Board, tickets available via Get Your Guide. 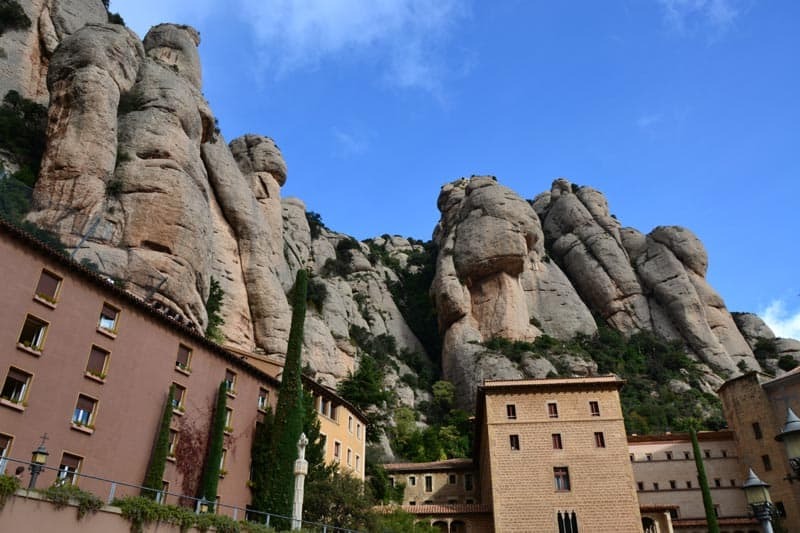 This full day tour includes coach transport, guided tour of the abbey, chance to hear L’Escolania Choir, two free hours on Montserrat mountain (there is lots to explore), plus a full Catalan lunch and wine tasting at a nearby castle vineyard. Read more here, or drop us an email. Barcelona Life readers get a 5% discount! 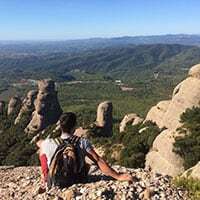 After being ferried to the abbey by minivan, you will hike with your local guide to the highest peak in the natural park for amazing views over Catalonia. After a small picnic, you descend again, in time to catch the L’Escolania Choir singing in the abbey. Book via Get Your Guide. Lying just south of Barcelona is the scenic countryside of the Penedes region of Catalonia, one of Spain’s foremost wine producing regions along with Rioja and Priorat. The wine it’s famous for is Cava, the Catalan take on French Champagne, but – as well as the sparkling stuff – there are plenty of vineyards producing reds and whites of great renown. 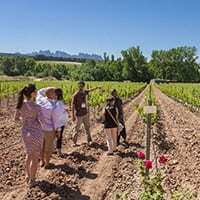 No wonder that enotourism has really taken off here recently, and a day excursion to one of the many wineries in the Penedes, for a spot of sampling, is a day well spent. 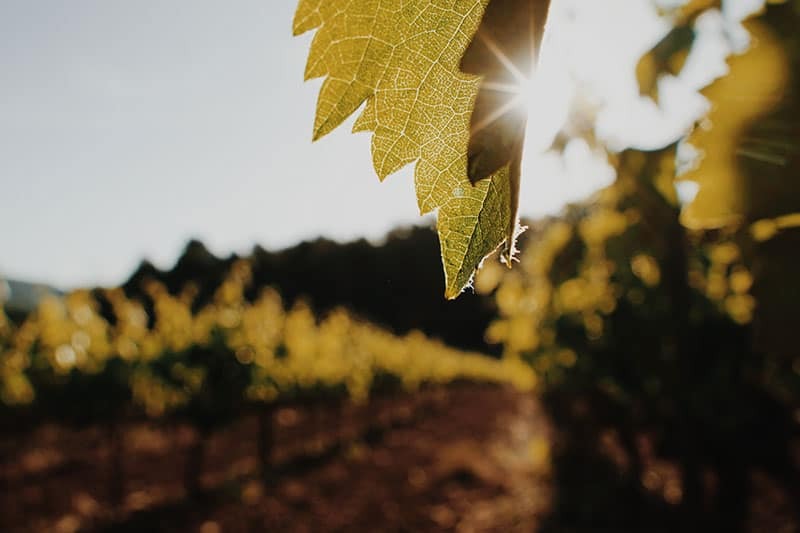 Many companies offer tours that include a vineyard and cellar tour, wine tasting, food and possibly even a spot of culture, or you could take the train and visit some wineries independently. You can reach the region’s capital, Vilafranca del Penedes, easily by train from Barcelona, journey time 50 minutes from Sants Station with trains leaving twice an hour. Check Renfe Rodalies for a timetable, or check the R4 route here for other destinations in the Penedes. You could also get off at Sant Sadurni D’Anoia and visit the famous Freixenet winery, or even better at Laverns-Subirat to take part in the Create Your Own Cava workshop at a boutique winery (see tours section below). It’s perfectly possible to visit one or two wineries independently, however there are some tours that we’d recommend, which guarantee a great experience, with guided tours (in English!) of the cellars and vineyards, plus tastings. For our full article on Barcelona wine activities keep reading. This fun and affordable experience takes place in the millennia-old farmhouse of a boutique winery. You get a tour of the cellars and winery, taste three different Cavas and then ‘disgorge’ and brand your own bottle of bubbly. More info and bookings here. No thinking required for this private tour. 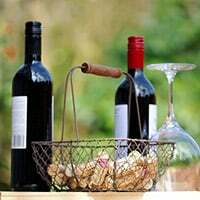 You’ll be picked up from your hotel by your sommelier and guide for the day, who will take you to two top quality wineries for extended tastings, followed by a hearty Catalan lunch. Limited availability so book in advance. Just down the road from BCN is one of Costa Brava’s most scenic beach towns – the resort of Sitges. By day you can wander around sleepy white-washed streets, decorated with colourful kitsch ceramics and balconies full of potted plants; by night the cafes, restaurants and bars throw open their doors and Sitges becomes one of Spain’s most happening party places. This is where the first ever Pacha nightclub opened (in 1967! ), whilst the gay scene is one of the strongest in the country. With 17 sandy beaches (some nudist), a beautiful Old Town and a triumvirate of good museums, Sitges makes for a fantastic day trip – or even longer – and has both a family-friendly and gay-friendly vibe. To get to Sitges simply hop on the train from Sants Station, or Passeig de Gracia. They usually run every 15 minutes and take about 35-45 mins from Barcelona. Tickets are around 4 or 5 euros each way. For train timetables for check the Rodalies section of the Renfe website. Ticking off all of my top three day trips in one go, I love this tour’s itinerary. 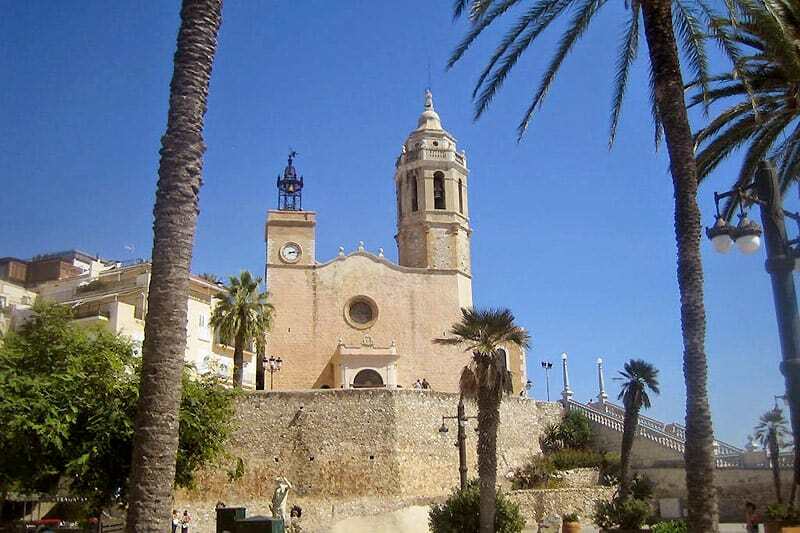 You start with a visit to the famous Torres winery in the Penedes region, then on to Montserrat and the Black Madonna and then unwind in wonderful Sitges. An amazing day, which you can book via Get Your Guide. 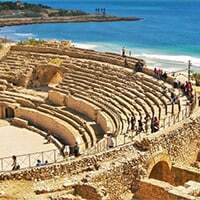 Another great multi-destination tour, this all day excursion combines Sitges with the Roman ruins of Tarragona, just a bit further down the road. A highlight is the well-preserved aqueduct outside Tarragona. Book via Get Your Guide. If Roman ruins are your thing then a day trip to Tarragona is unmissable. 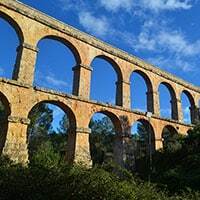 A simply fantastic amphitheatre still stands from nearly two millennia ago, overlooking the Mediterranean sea, whilst Roman walls and porticoes can also be admired – as can a magnificent aqueduct if you’re prepared to take a 4km jaunt out of town. It’s not just relics from the time of Caesar and chums though, and Tarragona has a wonderful Gothic cathedral and a picturesque Old Town as well. The one minus point is that, in a catastrophic bit of town planning, the rail tracks cut off the city beach meaning you have to hot foot it around the station to get some sand. In other words go for the history/culture and not the sunbathing. Again train is the best way to go, and you can get there from Sants in 1.15-1.30 hours for less than 10 euros one way. Similar to Sitges, you can easily pop down to Tarragona by train, but given the unique Roman history of the town (it was more important than Barcelona back in the day! ), a tour can help you make the most of a visit, as well as stop off at the all important aqueduct that is slightly out of town. The aqueduct, the forum, the amphitheatre and the circus, this Roman-themed tour is a snip at €78 and gets you back to Barcelona at a reasonable time. Runs every Weds, Fri and Sun, min. 2 people. Book via Get Your Guide. Similar to the combo tour listed under ‘Sitges’, this excursion can be booked on demand and includes hotel pick up. It gets cheaper the more people you are, so a good option for families and larger groups. Book via Get Your Guide. Figueres is a nice little town… but it’s fair to say you probably wouldn’t bother visiting it if it wasn’t for its USP (ie. Unique Selling Point). 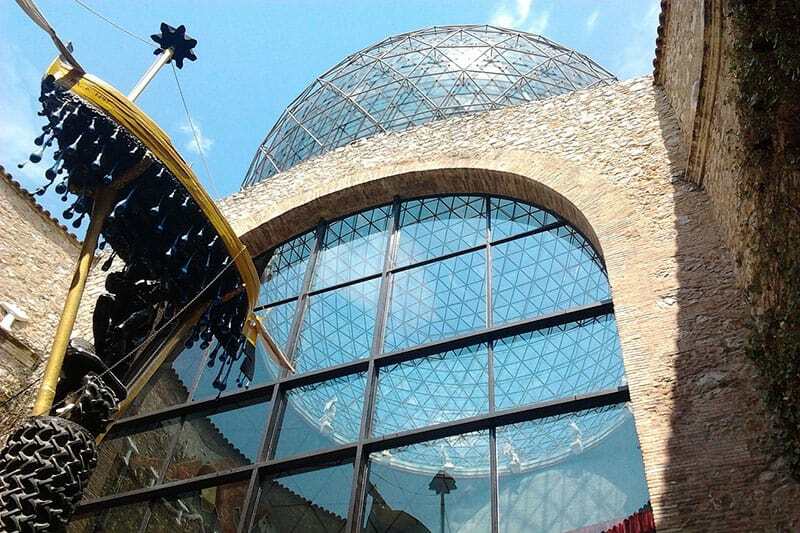 By which of course we mean the Salvador Dali Museum. Opened by the artist himself in 1974, the museum occupies the whole of what was once the municipal theatre (Salvador 1, Shakespeare 0), and is reckoned to be the largest collect of surrealist art in the world. Legions of fans make the pilgrimage each year so book your tickets ahead if you plan on visiting in peak season. If you have time it’s worth visiting the pentagonal castle as well. You can travel by train from Sants (which also calls in on Passeig de Gracia and Clot-Arago stations), journey time around 2 hours. Trains leave every 30 mins and tickets cost around 12-15 euros one way, depending if its the slightly faster or slower train. If you travel independently, you can book a guided tour of the museum in advance. Alternatively a lot of local-based companies offer private tours, including museum ticket, guide and transport from Barcelona. 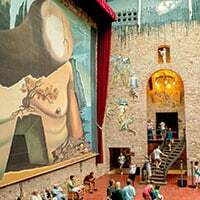 Tour options to Figueres tend to include stops in either Girona, which is directly en route, and well worth seeing, or to Cadaques, a beautiful fishing village, where Dali spent his later years. 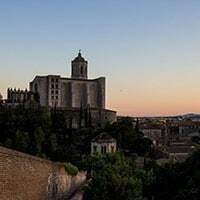 You take an air-conditioned bus to Girona, where you enjoy a guided walk of the old town and the Jewish quarter, before heading on to Figueres and the Dali museum. The tour price includes museum ticket. Book via Get Your Guide. Probably the best tour for Dali lovers, this full day trip not only visits the artist’s museum, but also his house museum in Portlligat, just outside stunning Cadaques (also on the itinerary). You can book Get Your Guide, just check the ‘know before you go’ section as the house museum is not offered year round. This beautiful, slow-paced medieval city got a major PR boost in recent years when it became a Game of Thrones filming location. Look carefully at the steps leading up to Girona’s towering Gothic cathedral and you will recognise them as the stairs where Jaime Lannister confronts the High Sparrow and Circe begins her walk of shame from the Grand Sept of Baelor. Others parts of the city form parts of Braavos, such as the Arab baths, where Arya fights The Waif. You don’t have to be a GoT nerd to enjoy Girona though, the picturesque cobbled streets, preserved Jewish district and the coloured tenement houses reflected on the River Onyar make it a splendid place to while away a few hours. If you choose to stay the night, you might want to reserve a table at El Cellar de Can Roca, voted the best restaurant in the world in 2018 for the third time. Getting to Girona from Barcelona is very easy. There are frequent trains from Sants Station and normally cost around €16 for a one way fast train (just 40 minutes). 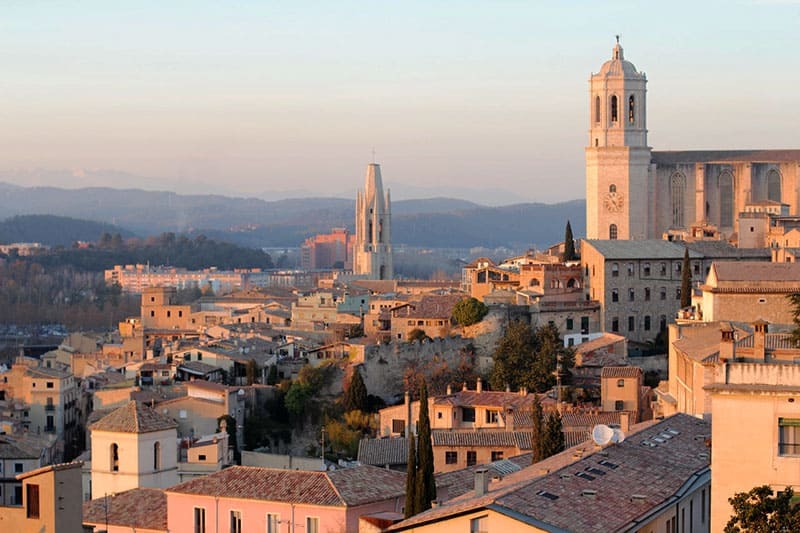 Choose between a half day tour, or a multi-destination excursion that combines Girona with one of Catalonia’s other gems. A good option if you’re short on time, this tour leaves Barcelona at 8am and gets you back around 2pm. The tour includes a guided walk around the city’s historic centre including some Game of Thrones locations and is very affordable at €55. Book via Get Your Guide. Similar to the above experience, but with plenty of free time after your guided tour for exploring at your own pace. Also has a strong Game of Thrones focus, and is actually cheaper than the half day tour. You can book Get Your Guide. 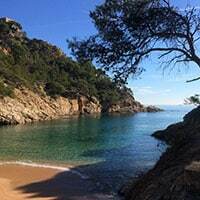 This tour combines a visit to Girona with a couple of jaw-droppingly beautiful stop offs on the Costa Brava, such as Pals beach and the quaint fishing village of Calella de Palafugell. There’s even time for a dip in the sea. Tickets via Get Your Guide. The prettiest pueblo on the Costa Brava, Cadaques is a stunning white-brick-with-terracotta-tiles fishing village, situated on a calm bay, backed with verdant hills. No wonder Pablo Picasso and Salvador Dali liked it so much. The main joy of any visit is to wonder around the little bays and beaches of the Cap de Creus headland, whilst the Salvador Dali House Museum is one town over at Port Lligat (advance reservations essential). The kicker is that this delightful jewel is a massive pain in the elbow to get to (see transport box below). I mentioned this tour in our Figueres section. 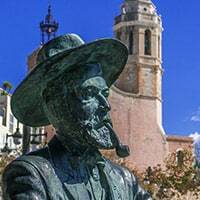 For Dali lovers it’s a no brainer, whilst the addition of Cadaques on the itinerary makes this one of the most booked activities leaving from Barcelona. Reserve via Get Your Guide. This tour offers a real taste of life on the Costa Brava, visiting not only Cadaques and Port Lligat, but also taking a fishing boat out to sea. The day ends with a visit to the Sant Pere de Rodos Monastery with amazing coastal views. Book via Get Your Guide. The name might evoke some mirth from native English speakers, however as a day tour or even a weekend away, Tossa is a destination to be taken seriously. 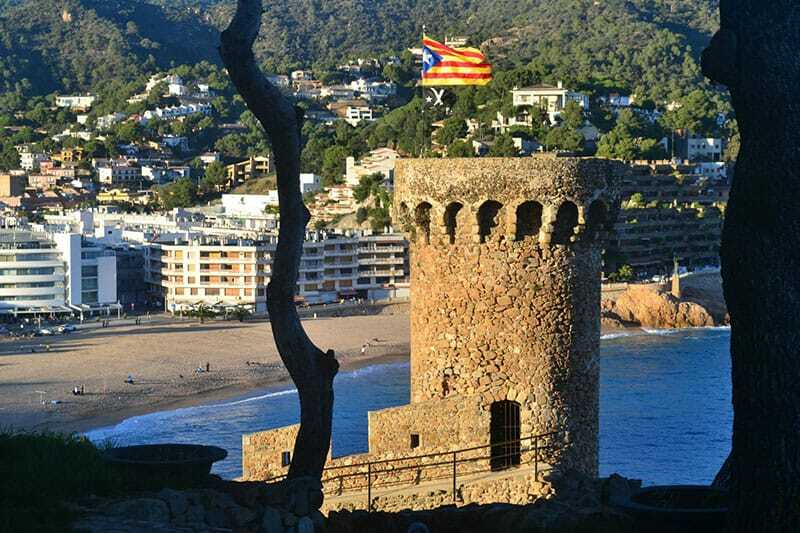 The cynosure of this coastal resort is its fortified Vila Vella (Old Town), the only such medieval fortress extant anywhere in Catalonia. It only takes a couple of hours maximum to walk around its turrets and lighthouse, so be sure to pack your sun cream and prepare to spend the rest of the day on the lovely beach that unfurls under the battlements. If you’re a sturdy walker ask directions at the tourist office for Cala Pola, a beautiful secluded beach that is a couple of hours walk away over craggy forest paths. Around 12 buses a day leave from Estacion du Nord (or you can catch them at Barcelona’s airport if you prefer), taking 1.5 hours to reach Tossa. Tickets cost between 8 and 15 euros one way. 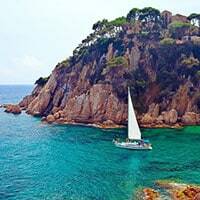 In terms of getaways on the Costa Brava, this is probably your best bet in terms of convenient public transportation. Here are a couple of options for anyone looking to jump on an excursion heading for Tossa! Lloret de Mar is known for its nightlife, but it’s a pretty enough town by day. This Costa Brava tour introduces you to Lloret’s wonderful art nouveau church, before you hop on a ferry to Tossa for more sightseeing and gastronomy. Reserve via Get Your Guide. 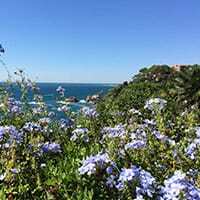 This tour includes a visit to the clifftop botanical gardens of Blanes, a swim in a secluded cove (a must on the Costa Brava!) and exploring Tossa de Mar. Tickets available on Get Your Guide. This excursion takes full advantage of the magnificent coastline around Tossa, and you’ll get amazing views of craggy coves with emerald waters, before enjoying a delicious lunch back in town. Book via Get Your Guide. The above selection should be more than enough for any first time visitor to wrestle with, and indeed you’ve probably got some tough decisions on what to see. If however you’re based in Barcelona, or a frequent visitor, then stay tuned for more inspiration. 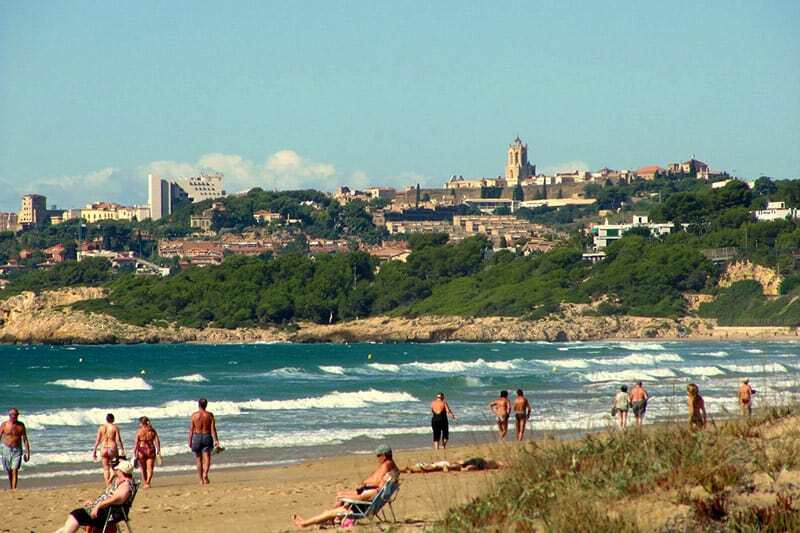 We’ll be updating this page with some other of the region’s gems soon, such as Castelldefels, Calafell, Garraf, Altafulla, Montblanc, Vic, Begur, Pals, Besalu and many more delights of the Costa Brava and the rest of Catalonia and North Spain soon. Aside from the tour options we listed under each destination, here are a couple more activities well worth jumping on. Click the title links for more info. A great day out that includes both a visit to the aforementioned “Jagged Mountain” along with a peek inside its sacred abbey, as well as an afternoon sipping locally produced wines in a 10th century castle. For more of an action trip, this water sports activity involves experiencing the amazing scenery of “The Wild Coast” from the vantage point of the sea. 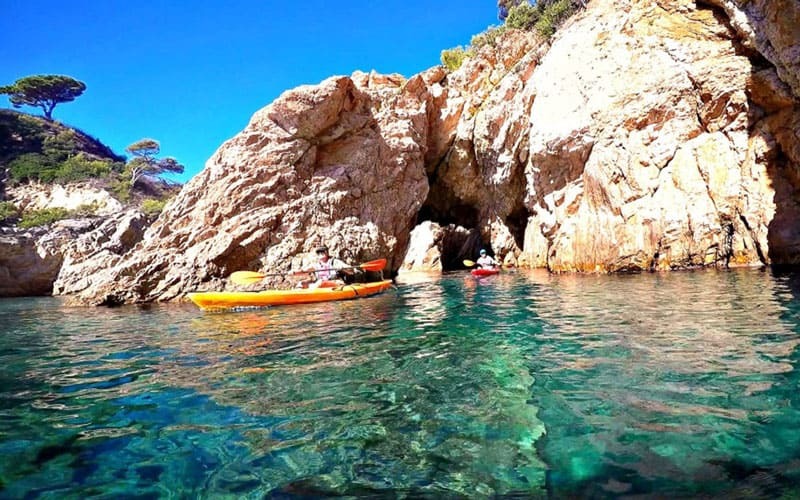 You’ll paddle in your kayak along the craggy coastline to a natural cave where you can go snorkelling in safety and check out the local marine life. The tour leaves daily from Barcelona during the summer season (May to October). 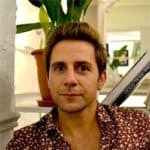 What about overnight trips from Barcelona? Well some of the aforementioned destinations might actually work out better for a weekend… particularly Cadaques, which is pretty far away and hard to reach by public transport, and Tossa de Mar, where a two day stay would allow you to unwind and enjoy some quality beach time. For those of us who live in Barcelona, Girona or Vilafranca del Penedes offer a nice change of pace from the Catalan capital. 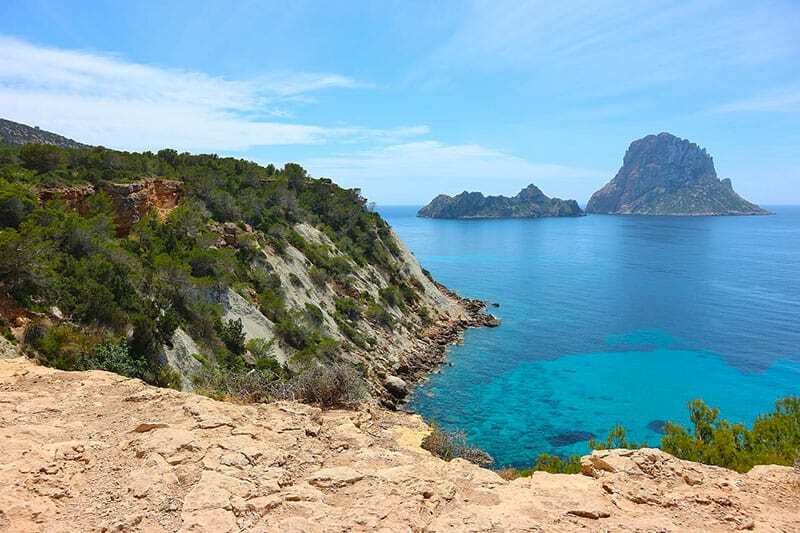 A ‘day trip’ might be stretching it, but it’s certainly possible to plan a wild weekend in Ibiza using Barcelona as your base. 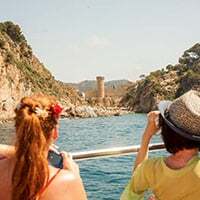 Overnight ferries cruise across the Mediterranean on a nightly basis to the ‘White Isle’, whilst a number of airlines fly from Barcelona’s El Prat airport and if you book far enough in advance can be surprisingly cheap. Why go? Well the island’s nightlife is nothing short of legendary, whilst its beautiful Old Town and great beaches have made it one of Spain’s top holiday destinations ever since the 1950s. Yes, Wham’s Club Tropicana video was filmed here! Check out our feature length travel guide to Ibiza, which also has details on summer party trips leaving from BCN.